Campaignmonitor launched their new email builder and template engine. It’s called Canvas and is available today for current clients via their Campaign Monitor account. For the last 12 months, a team inside Campaign Monitor was tasked with creating a new way to build beautiful emails. Below is a screenshot of the Canvas UI. Below is a screenshot of the UI. The blue line is an indication of where you can drop elements. All email template elements are promissed to be automatically resized suit the new location, adjust the padding, font weights and details. So emails stay balanced and conform to a precise grid. 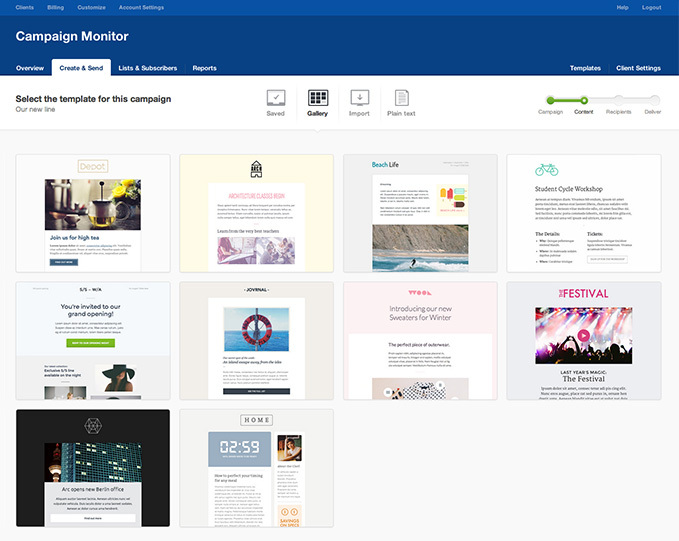 The Canvas email newsletter builder tool from Campaign Monitor doesn’t work with fixed templates, but rather styles. It will let you choose a style of email that matches your brand, allows you to customize how you lay out content as you are adding it. At time of launch there is a gallery of 10 template styles available. 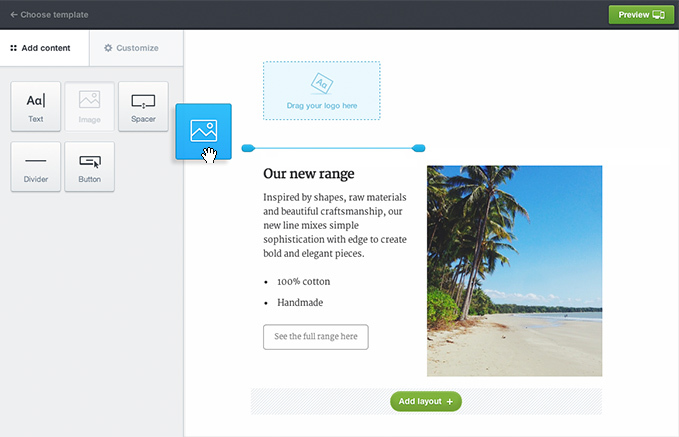 Every single template has a range of layouts you can drop in depending on the type of content you’re adding. These layouts can be reordered and content can be dragged between them and will automatically update to suit the design for that layout. The previous editor and template language will still be available for clients, and all existing templates will continue to work exactly as they did before. Use Campaign Monitor to create, send and optimize your email marketing campaigns.